This past April, Royal Malaysian Customs received a tip about a suspicious air cargo shipment originating from Mozambique and arriving on a flight from Doha. After searching the airport cargo warehouse, agents located the parcel: a small crate that was declared as artwork but listed a fake Malaysian address. Inside were 18 smuggled rhino horns likely destined to be sold on the black market in Vietnam or China[i]. This seizure was the latest in a string of recent rhino horn busts in airports across Asia. In recent years, rhino horn poaching and trafficking has exploded. In South Africa, the country with the highest rhino population, poaching of white rhinos rose from 13 animals in 2007 to 1,215 in 2014, a 9,000 per cent increase. 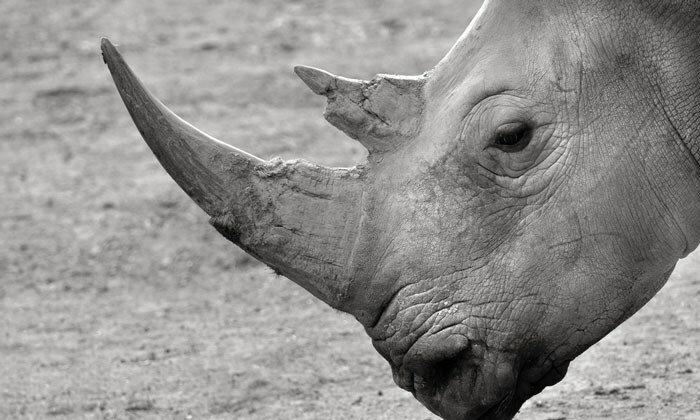 More than 1,300 rhinos were killed throughout Africa in 2015[ii]. Other species, including elephant, bird and reptile species – which make up 66 percent of all trafficked wildlife according to the United Nations Office on Drugs and Crime (UNODC) – are experiencing similar population threats due to increased illegal trade[iii]. While wild populations have declined, wildlife trafficking has grown into a $20 billion a year industry – the fourth most lucrative transnational crime behind drugs, humans and arms trafficking. To meet global demands for wildlife, trafficking criminal networks must rely on interconnected modes of transportation that can quickly move wildlife and wildlife commodities across national and regional boundaries. The USAID Reducing Opportunities for Unlawful Transport of Endangered Species (ROUTES) Partnership and C4ADS recently released a new report, Flying Under the Radar: Wildlife Trafficking in the Air Transport Sector, which reveals that wildlife trafficking networks heavily exploit the global air transport sector to smuggle protected and endangered animals and animal products across continents. The report analyses air seizures of ivory, rhino horns, live birds and live reptiles recorded between January 2009 to August 2016, creating the most comprehensive global assessment of wildlife trafficking in the air transport sector to date. The report counted approximately 33,000 kilograms (~73,000 pounds) of ivory; 1,200 kilograms (~26,000 pounds) of rhino horn; 120,000 live reptiles and 10,000 live birds seized in the air transport sector between January 2009 and August 2016. In 2015 alone, nearly 6,000 kilograms (~13,000 pounds) of illegal ivory and rhino horn, as well as 30,000 live reptiles and birds, were seized at airports in checked baggage, cargo shipments, carry-on baggage or hidden inside clothing. Importantly, seizure data is only comprised of known trafficking instances, and does not include the many wildlife trafficking instances that go unnoticed and unreported. Overall, 114 countries had at least one instance of wildlife trafficking pass through their airports during the period analysed. Ivory and rhino horns flowed from Africa—often moving through the Middle East, and occasionally through Europe—before arriving in Asian destination countries. By contrast, reptile and bird seizures occurred all over the world, but concentrated in the Americas, Europe and South Asia. The country with the most reports of wildlife trafficking in the air transport sector was China—largely due to its role in the ivory trade—followed by Thailand and the United Arab Emirates. The U.S. ranked tenth. Most wildlife traffickers use a combination of trafficking modus operandi to evade detection in airports. The Flying Under the Radar report found that the most common transport method used by wildlife traffickers in the air transport sector was through checked luggage, followed by air freight and carry-on bags. Often traffickers abandon or exchange luggage at airports, or carry an unusually high number of suitcases per passenger. To hide the luggage or cargo contents from detection by scanners or scent, traffickers tend to utilise an array of obfuscation methods including aluminum foil, paper, blankets and agricultural products. Additional red flag indicators include: incorrect or incomplete documentation (such as fake companies or addresses, like the one identified by Malaysian customs in the 2017 rhino horn bust); circuitous flight routes that travel through large international airport hub hotspots; and custom-made clothing to hide live animals or animal products. Many of these methods are also typical among traffickers of drugs, arms and other illicit goods. Many in the air transport sector have already demonstrated a willingness to combat wildlife crime. Over 85 organisations from across the transport sector have signed the United for Wildlife Transport Taskforce, Buckingham Palace Declaration[iv], which, commits signatories to 11 commitments aimed to disrupt wildlife trafficking. The Flying Under the Radar report provides data-driven recommendations for industry and enforcement, including increasing staff awareness, strengthening seizure protocols, investing in screening technology and training courses and ensuring all seizures are recorded and shared. Airport and airline staff spend more time with passengers and luggage than enforcement agents, and can help act as the ears and eyes for alerting enforcement officials to suspicious behaviour. With support from ROUTES and partner organisations, the air transport industry has unprecedented access to communication tools, training material and awareness resources needed to help combat wildlife trafficking. For example, ROUTES has worked with South African Airways at the Johannesburg O.R. International Airport to conduct trainings and install awareness materials for airport staff to learn how they can play an active role in identifying red flag indicators and helping law enforcement to combat and address wildlife crimes. Taking action against wildlife crime can help companies strengthen existing protocols against other forms of trafficking, as well as empower staff with the knowledge and training to become part of the solution. Wildlife trafficking contributes to the extinction of endangered species, threatens human health and local livelihoods and undermines local, national and regional security. New resources and information such as the Flying Under the Radar report can expose the trends, routes and common practices used by wildlife traffickers in the air transport sector, and provide industry and enforcement with clear next steps to combat wildlife trafficking. If the air transport sector acts now, it can make a difference in sustaining wildlife for generations to come. Please contact ROUTES for more information on awareness materials, industry training opportunities or how the air transport sector can take action against wildlife crime www.routespartnership.org.